REFER ANOTHER BUSINESS AND GET £50 OFF YOUR NEXT BILL. Providing Telephony, Data and Infrastructure solutions combined into one easy-to-manage contract. Welcome to Claritel. Based in Blackburn in the United Kingdom, we’re a leading company in providing business telecommunications services and solutions to business of all shapes and sizes, no matter what stage of growth they’re at. The Claritel experience is like no other when it comes to business telecommunications. We’re affordable, flexible, knowledgeable and – most importantly – are able to provide a personal level of service like no other when you’re looking for commercial telecommunications services designed to help your business grow. Creating custom telecommunications systems is often a headache for businesses of all shapes and sizes. They need modern systems that are easy to use and accessible for their marketing and sales teams, especially if there is a constant need to accept calls and reach out to potential and existing customers. Most of all, though, they need a reliable and efficient business telecommunications service that makes their customers’ journeys as painless as possible, redirects them to the right departments seamlessly, doesn’t annoy them if they ever need to be put on hold, and helps you never to miss a single call. Claritel can not only design, install and maintain professional telecommunications services for your business that allow you to do all that. We will also strive to get to know you, build strong relationships with you and your team, and provide a single point of call in the form of an account manager so we’re always available to help you get the most from your telecoms systems. Claritel is about more than installing phone lines into your office. We provide thoroughly modern and easily-accessible telecommunications services for businesses with the future in mind, adaptable and scalable for those with ambitious growth strategies. Is there anything more annoying than being placed on hold or staying on the line for hours? Claritel is committed to directing your customers’ calls to the right people as quickly as possible. Whenever your team manages to miss a call, or whether somebody calls your business and the line’s engaged, it represents a missed opportunity for you to engage with a potential client, close a lead and – most of all – build a relationship with somebody new. Our technological expertise and ability to scale is also hugely beneficial for companies with growth ambitions. We’re able to provide seamless telecommunications solutions and close support for brands moving office, those growing their presence locally, nationally and even internationally. Let us project manage your premise relocation. We take all the stress of relocating from you. We guarantee a smooth and seamless transition, both for you and your customers. We have good relationships with other suppliers and manufacturers in the office relocation industries, such as furniture suppliers, to help facilitate all aspects of your move. Are you looking for faster broadband? Try our Superfast Fibre Optics Broadband to optimise your internet speed. We have various Broadband options for your business. Our Internet solutions are reliable and are safe and secure. We keep you connected. Are you looking to upgrade your current network? 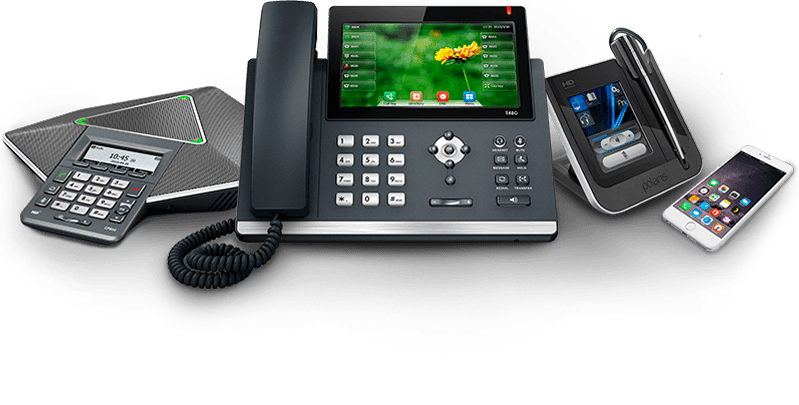 We provide a communications platform that is second-to-none and our systems provide all the elements of a traditional phone system and much more. Whether you require an in-office or a cloud-based system, Claritel will deliver exactly what you need. Claritel's promise to provide us with a tailored bespoke package at a very competitive rate was delivered and I'm pleased to say that we are extrememly happy with our new service provider. The Team have provided us with fantastic customer service support right from the start of the agreement and continue to support us efficiently & promptly. we are proud to support local businesses and have no hesitation recommending their services to potential customers. Ubuntu HR ltd recently relocated our office and engaged Claritel to takecare of our phone lines and broadband. throughout the entire process Claritel & their technical team kept me fully informed as to progress and explained in a non-Jargon, non-technical way which i could clearly understand the processes etc. They are saving Ubuntu HR over 40% on our broadband as well as the financial savings, have been an absolute pleasure to deal with. In my role as IT manager and head of business operations at blackburn rovers community trust i have had the pleasure of working with Claritel and it has been an absolute pleasure. Claritel as a whole have a clear understanding of its target market, what the customer needs and the best value for money solutions that the customer would require. Claritel offer a wide range of services and solutions to all sectors and have a sound understanding of the perspective customers needs and can offer sound guidance and advice and are a clear example of value added, quality professionalism you would expect from a business of such stature. © 2018 Claritel All rights reserved.